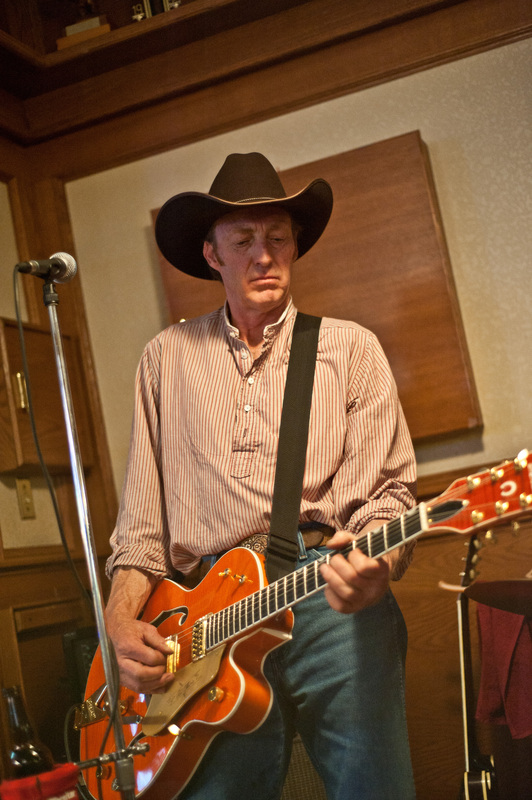 Tim Ross is a singer/songwriter/guitar slinger who hails from Wycliffe, in the East Kootenays of BC. His day job as a natural resources consultant, which translates to “cowboy with a degree”, grants him the privilege of riding the range and making a living in the saddle. He also ranches, raising grass-finished beef. His night job is playing in bands of all sorts. 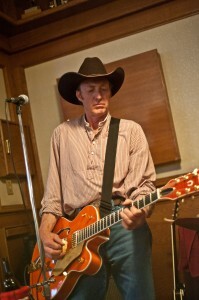 Songwriting influences range from rock n’ roll and blues to rockabilly and cowboy songs. Artists he has been compared with range from Brian Setzer and the Stray Cats, to Corb Lund and the Hurtin’ Albertans. The songs on his first CD, “Blue Sky, Green Grass”, released in 2006, reveal his humour, and his love of the land, people, dogs, horses and cattle that make up the New West. These songs have received airplay on public radio here in Canada, and have found their way south of the border to Idaho, Washington, Oregon and California. Tim also revealed his rockin’ side in 2006 by releasing a CD with his musical partner Fraser Armstrong and their band Buffalohead. This CD charted and received extensive play on college and public radio. His new CD, just released in May, 2012, entitled “Cowboy Museum”, is another “Western” effort, but it is also be a blend of his influences, with leanings toward rockabilly and western swing. The planning for a fall tour with his Vancouver band “The Bison Brothers” is underway. When he’s not busy as a solo performer, Tim can be found rockin’ with “The Long Shadows”. Together with Steel Wheels stalwarts Bob Horie on drums and Boyd McNamar on bass, these guys crank out a danceable mix of rock ‘n roll, rockabilly and blues/rock classics. For a review and images from the “Cowboy Museum” CD release party go to the PERFORMANCE / MUSIC / ROOTS tab in this BLOG.